The large UK independent pub chain, Fullers, spring into healthy eating action with the launch of an innovative healthier kids’ menu across 136 sites in June. Developed by Scottish start-up Eat Balanced, their Pizza Power Kids range, means that children enjoy one of their favourite foods, without knowing it’s better for them. According to research from the Schools Food Trust, health is a key consideration for parents when eating out with some 87% saying that they would like to see healthier childrens’ menus. However, the “healthy option” can often be shunned by the kids themselves. Eat Balanced are helping food service operators and caterers sell more of the “healthy option” with a healthier kids’ menu, with it also being affordable, and are currently working on re-inventing other kids’ favourite foods into nutritionally balanced meals. Eat Balanced has created a range of point-of-sale materials, appropriate for family restaurants, education, leisure and sports venue, to help operators promote the new kids’ pizzas to parents. The Pizza Power Kids range are supplied frozen and are available UK wide through major food service distributors and operators, for more information, contact Katie Sillars on katie@eatbalanced.com. 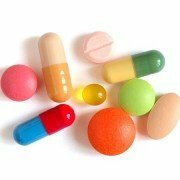 Vitamin pills for kids: short-cut to good health or a danger?